In the modern world, it is becoming more and more difficult to imagine the life of a household without a dishwasher. It is an indispensable helper and saves us from the most annoying tasks- washing dishes. Over time dishwasher collect food residue, scum and grease, making it difficult to correct their work. 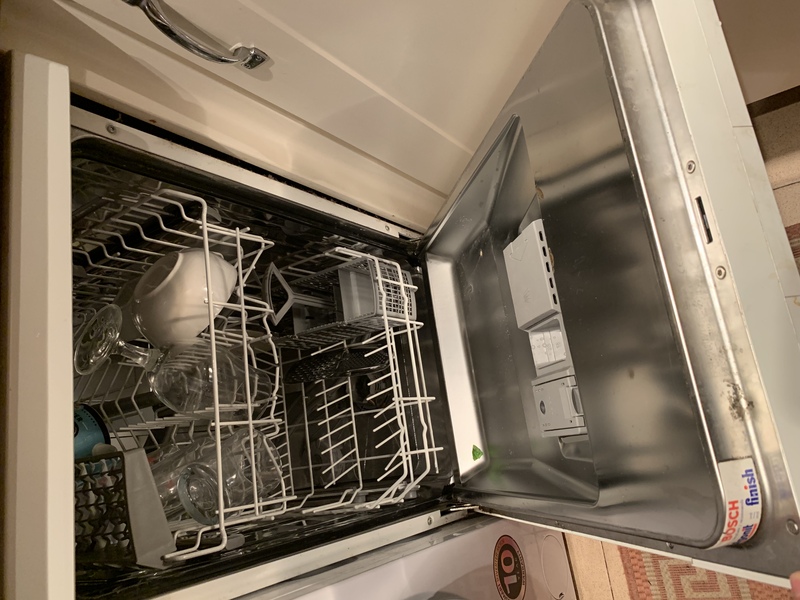 That’s why it is very important, among with the other cleaning services, to take care of the hygiene of your dishwasher. For perfect cleaning use the professionals Cleaning Services.You can always call a cleaning company to do the job, but here’s how you can help yourself. On the inside of the door, wipe well. Do the same with the grate. This is because in many of the models there are accumulations of food and dirt. Then wipe the bottom of the dishwasher, where the water runs out. Wash thoroughly with soap and water. If the accumulations are more use a toothbrush. If this does not work – add some vinegar and try scraping with the knife. Check if your dishwasher has a filter. If there is- remove, wash with backing soda and toothbrush. Then soak it in soapy water with vinegar for about 5 min. Before installing the filter, wipe the inside walls, door and seals of the dishwasher. You can use the same soap water. Once everything has been cleaned, put the filter back, racks and stands. Run an empty cycle of the dishwasher in slow mode. Put two cups of vinegar in placeof the preparate, so you will clean anywhere you could not. When the dishwasher is cleaned from the outside, it remains to be cleaned from inside. If the outside has an inox coating, you should use an inox preparation and a microfibre cloth. If outside is plastic, you can clean with everything. For best results, use soapy water with vinegar. Once cleared, the dishwasher should be cleaned once a month.